After someone opts in to get your Freemium, what should you do next? Should you use single or double optin? PLUS you get to get the pdf version of this blog post as well so that you can refer to it anytime you like, even when you’re offline. Click here to get both FREE. This post is about how to create a squeeze page or lead capture page, but not just any kind of lead capture page, but one that is high converting. 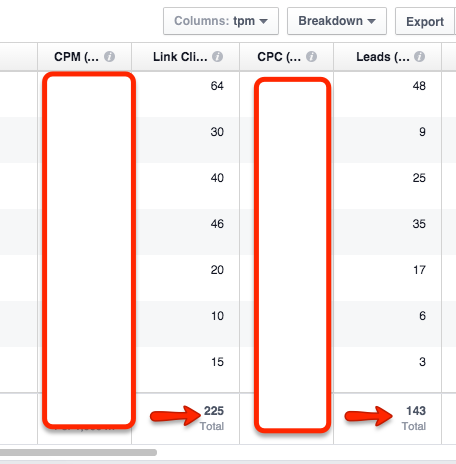 Very recently, I ran a few Facebook ads (different targeting interests but the same ad) and I got 143 optins out of 225 link clicks. While I’d love to say: do XYZ and you’ll achieve the same results… the reality is that it’s not that straightforward. Every business is unique in its own ways and you’ll probably not achieve 64% optin conversion, but even if you just get 40%, I’m sure it’s still a good number. What I can do is to lay out the guidelines and strategies behind this, and how you can follow them and apply to your own business. After you’ve finished reading this post, you’ll be able to create your high converting lead capture page in 7 steps. 4 Steps (based on live data) To Creating Your Irresistible Lead Magnet – Never Run Out Of Lead Magnet Ideas! To create an irresistible lead magnet, you have to know who your perfect customers are. I’ve created a perfect customer persona template. All you need to do is fill in the blanks and it’ll look like you’re speaking directly to them 1-on-1. 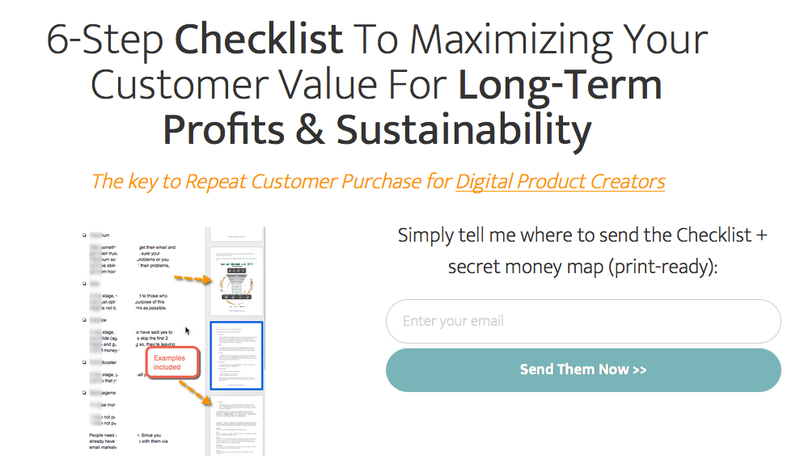 This post is especially created for Digital Product Creators who want to create Freemiums / Lead Magnets that your subscribers actually crave for and want to get their hands on. 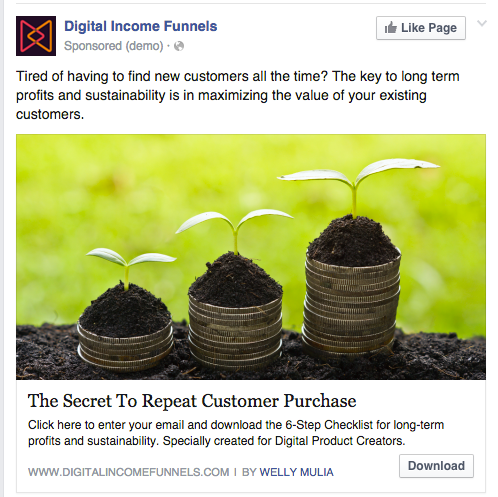 The primary purpose of building leads is to sell them your paid products/services. And to effectively do that, you must first disqualify people who are not interested in your topic/offer. After you’ve finished reading this post, you’ll understand the straightforward yet often overlooked systematic process of creating a Freemium that your target audience can actually apply to solve their problem… so that they will be magnetically attracted to your paid solutions to solve their other problems. Inevitably, you’re also going to get valuable lead magnet ideas. Being in business is all about profitability. 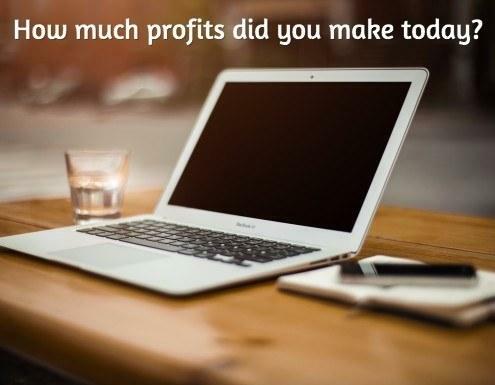 How much profits you make day in and day out. While core values, mission, and vision are all important, it is not as important as cash flow… at least for people who’re just starting their business and have not gained traction yet. Without profits and cash flow, you can kiss your business (along with your vision and mission) goodbye. After you've finished reading this post, You're going to discover a proven, systematic way to consistently get leads and sales day in and day out… without looking like you’re selling. After someone opted in, this is what you should do... based on whether you use single or double optin. We also dissect the pros and cons of each. Get your free guide now!